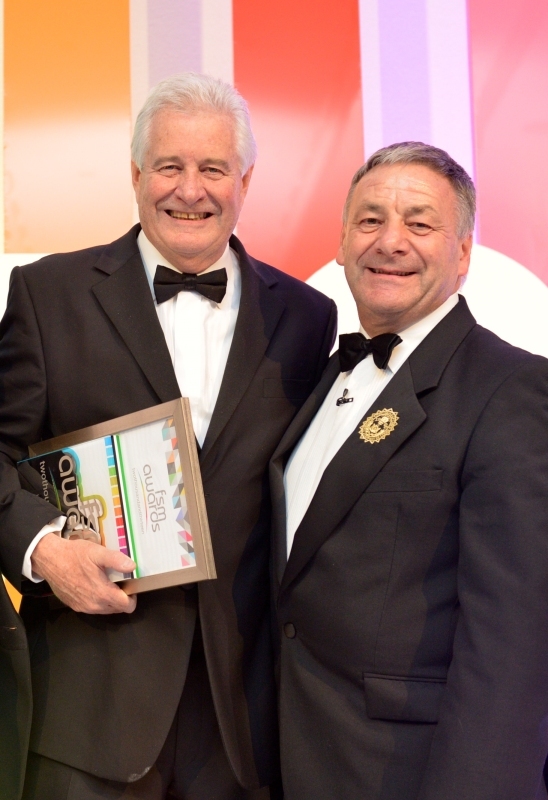 Dine Contract Catering's co-founder and hands-on Chairman, Jim Cartwright, was given a standing ovation by 350 of his industry peers, when he was awarded the FSM Lifetime Achievement Award for his services to the Hospitality Sector at the end of last year. There wasn't a dry eye in the house at the glittering FSM Awards’ ceremony when Jim was called to the stage and presented with his Award. Hosted by TV personality Mark Durden-Smith, FSM recognised the incredible contribution that Jim has made to the world of catering (from schools to workplace) across the UK - over the past 40 years - since his career in hospitality started at the age of 15. He was championing the school meals’ cause well ahead of Jamie Oliver and created a highly successful business, delivering home-cooked, nutritionally balanced meals across the country. He implemented GDAs into all menus (guideline daily allowance) driving healthy eating and total transparency years before the Government launched its own ‘responsibility deal’ asking providers to do just that. His ethos of EAT WELL, LIVE WELL, DINE WELL remains the backbone of Dine Contract Catering’s principles today. As Chairman of the BHA (British Hospitality Association)’ Contract Catering Panel, he was pivotal in shaping and driving legislation around VAT in Hospitality and TUPE to protect workers’ rights. His work here has positively benefits thousands of individuals around the UK. Employees stay with him for a lifetime and he is a strong advocate of vocational training, youth employment and apprenticeships. Jim has always been 100% committed to his own team and an inspirational leader and, his son, Ian is 'a chip off the old block' taking Dine Contract Catering forward into the future and driving fresh innovation and thinking in line with our customer's own needs.